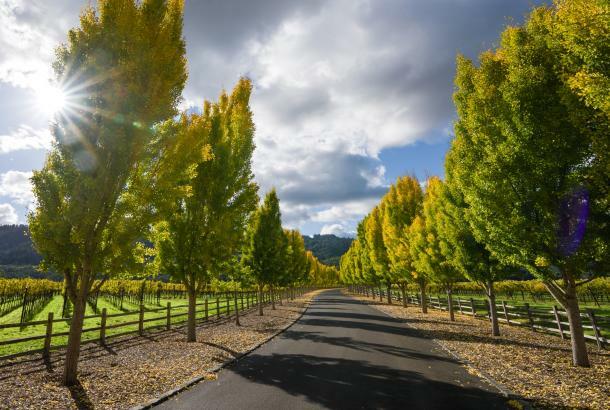 St. Helena bills itself as “Napa Valley’s Main Street,” and the moniker is fitting – this little city of about five square miles represents an authentic slice of the valley. In addition to its renown as an international food and wine center, it’s a real town full of churches, playgrounds, local businesses, and friendly folks. The Wappo Indians called this place Anakotanoma, or “Bull Snake Village.” By the time it was incorporated in 1876, the town had been named after Mount St. Helena at the northern end of the valley. Today its population is just under 6,000 people. 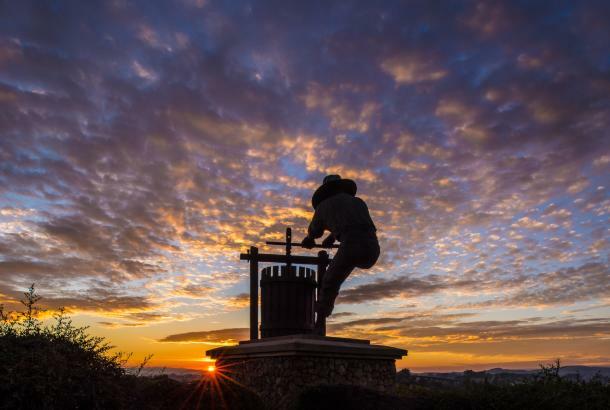 It boasts many historic landmarks, including Elmshaven – home of Ellen White, co-founder of the Seventh Day Adventists – Beringer Vineyards, and Charles Krug Winery. And three blocks of St. Helena’s downtown are listed as a National Historic District on the National Register of Historic Places. Stay. 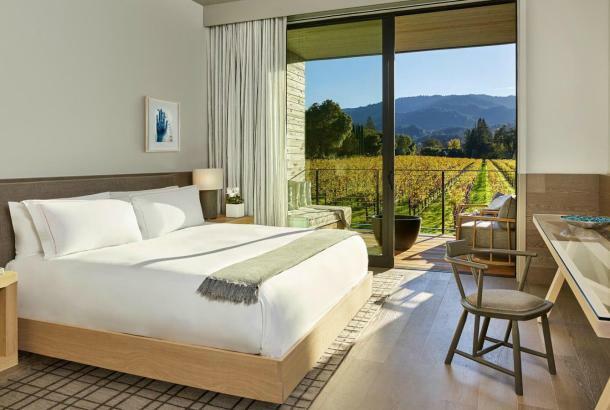 There’s a wide range of accommodations here, from a full-service resort (Meadowood Napa Valley) to intimate hotels (Wydown Hotel), and many in between (Harvest Inn by Charlie Palmer and Southbridge). There are lots of small B&B’s, too, both in town and around the outskirts. Eat. 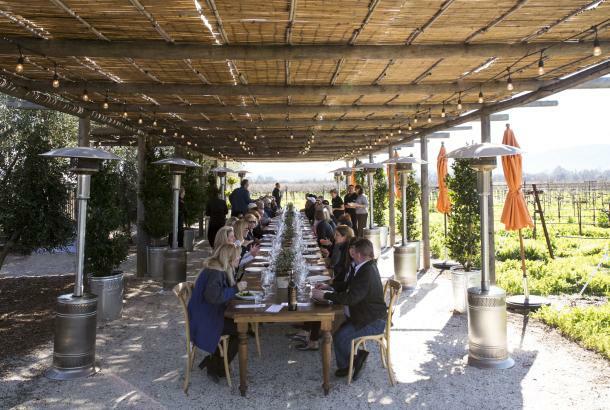 Ask for a restaurant around here, and there are simply too many to name, but several local favorites include Farmstead at Long Meadow Ranch, Press, Archetype, Cindy’s Backstreet Kitchen, and Brasswood. 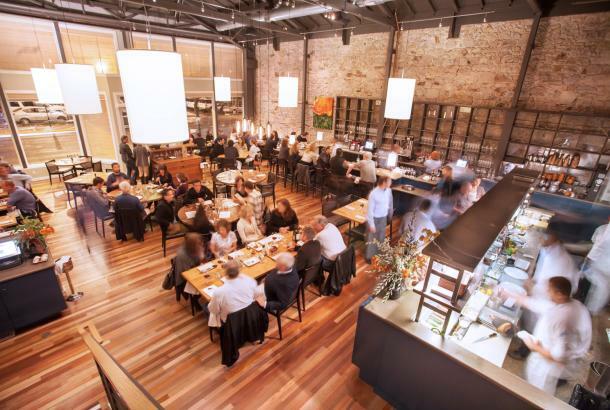 You can choose from the high end – the Michelin three-starred Restaurant at Meadowood – to very casual – Gott’s Roadside or Pizzeria Tra Vigne. There’s truly something for everyone. Taste. Again, the list of St. Helena’s wineries and tasting rooms is endless. The local American Viticultural Area (AVA) included 416 vineyards at last count, representing 6,800 acres of planted vineyards. 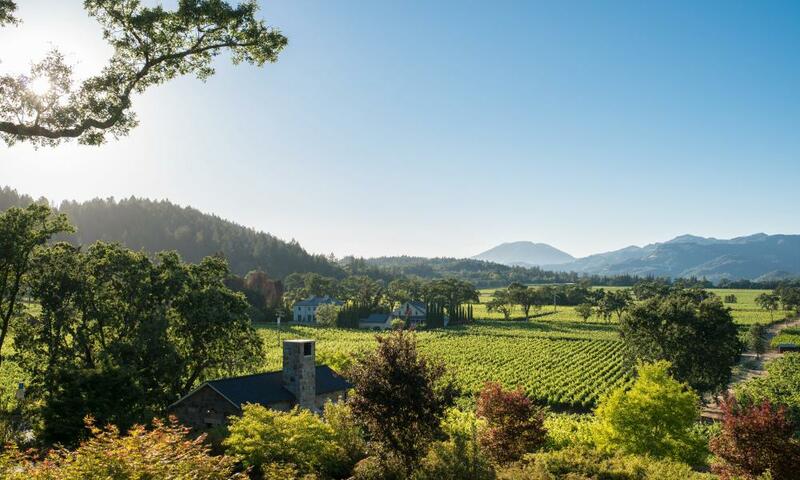 Some of the older, more established wineries are Beringer, Louis Martini, Charles Krug, and Sutter Home. But there’s also a bumper crop of newer wineries, including HALL, 750 Wines, Orin Swift, and Sinegal Estate. 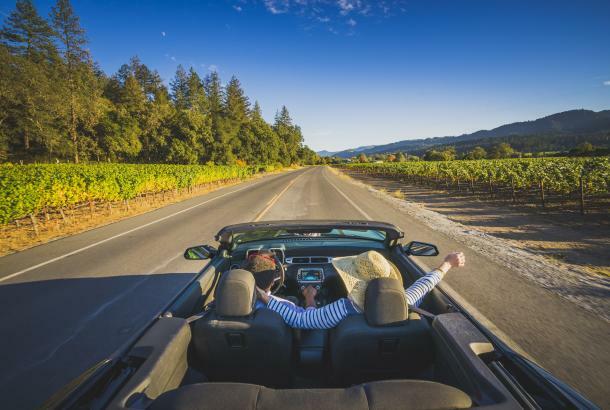 If you simply don’t know where to begin, your best bet is to stop in at the St. Helena Welcome Center (657 Main Street) and ask them to customize a wine tour for you based on your interests. Play. There’s plenty else to do here, as well. Main Street is filled with elegant shops, from housewares to clothing to jewelry. You can rent bikes at St. Helena Cyclery if you want to explore up or down Highway 29 or the Silverado Trail. The Culinary Institute of America at Greystone (CIA) offers a long roster of classes, tours, and demonstrations. The Cameo Cinema – the nation’s oldest continuously operating single-screen theater – features movies from quirky independent films to the latest blockbusters. And Crane Park offers tennis courts, a super playground, and a world-class skate park. Finally, if history’s your thing, check out the Bale Grist Mill State Historic Park or the Robert Louis Stevenson Museum. The St. Helena Historical Society has just released a new walking tour map of the town’s Historic Commercial District – you can find copies at the Chamber of Commerce, the local library, and Main Street Books.